Innovation is in the DNA of Miami Dade College. With rapid advances in technology, today's jobs will look unrecognizeable years from now. As a result, our students get the hands-on experience, advanced skillset and knowledge they need to to be ready for tomorrow's emerging careers as entrepreneurs and creators. From The Idea Center where winning business ideas are born to the Makers Lab where designs become masterpieces, our students are meeting the future today. Your support of innovation keeps MDC students at the forefront of an ever-evolving technological world. 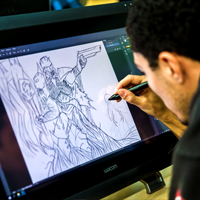 The Miami Animation and Gaming International Complex, commonly referred to as MAGIC, has quickly become a leading program for aspiring gamers, animators and new media. The program has attracted renowned industry leaders like Nickelodeon and Pixar to mentor students and the support of individuals and organizations like Univision to support scholarships. The Makers Lab is a high-tech digital fabrication lab that allows students to collaborate, design and build almost anything. 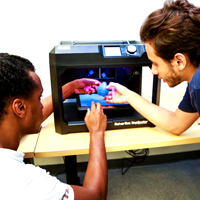 Unique to Miami, engineering and design students have access to a wide range of tools, equipment, resources and workspace to build out their vision. As a pioneer organization within Miami’s growing entrepreneurship ecosystem, The Idea Center is committed to unlocking entrepreneurial and innovation skills in students across disciplines and industries. 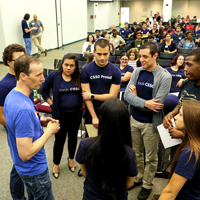 The Center serves as an innovation hub where students, community members, innovators, entrepreneurs and the academic community come together to experiment and implement innovative and creative ideas. 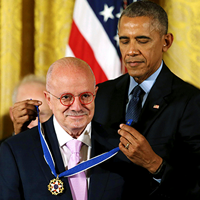 In honor of Dr. Padrón’s decades of work in ensuring educational opportunity for all, this fund supports innovation in teaching. Support goes to MDC faculty to deliver highly interactive and innovative education programs that prepare the next generation of changemakers who, like Dr. Padrón, will address societal challenges and make a difference through their leadership, scholarship, and civic engagement.